The Chronicle of Abraham of Crete, published for the first time in English, is one of the few non-Persian primary sources on the history of Nader Shah. Written by the Supreme Patriarch of the Armenian Church, it describes the events which occurred from April 1734 to November 1736 in northern Iran and Transcaucasia. It details Abraham's sudden and unexpected election to the rank of Supreme Patriarch and his meeting with Nader, during the latter's campaigns in Transcaucasia. 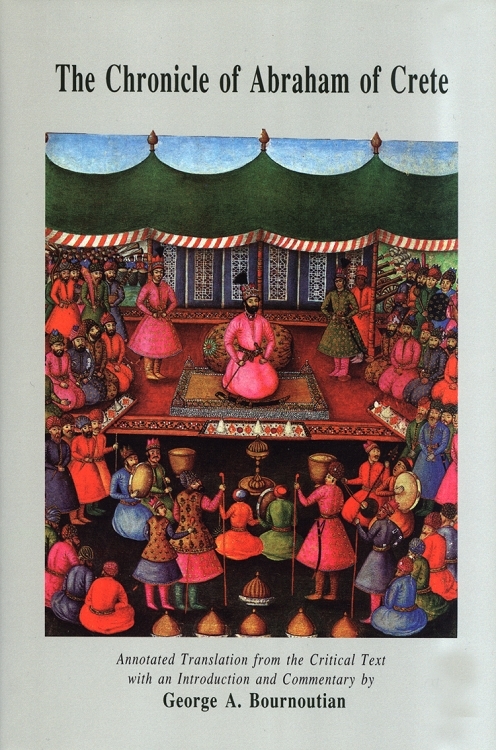 Abraham's main contribution, however, is his recounting of the qurulta'i (national council) on the Mogan Steppe, where he witnessed the election of Nader as the new Shah of Iran. The Chronicle of Abraham of Crete not only paints a vivid picture of the political and socioeconomic conditions of the region, but supplies detailed information on the Persian army and administration not available in Jahangosay-e Naderi or Alam-aray-e Naderi. Furthermore, the Chronicle is a rich source of Persian, Turkish and Arabic terms used in the first half of the eighteenth century.